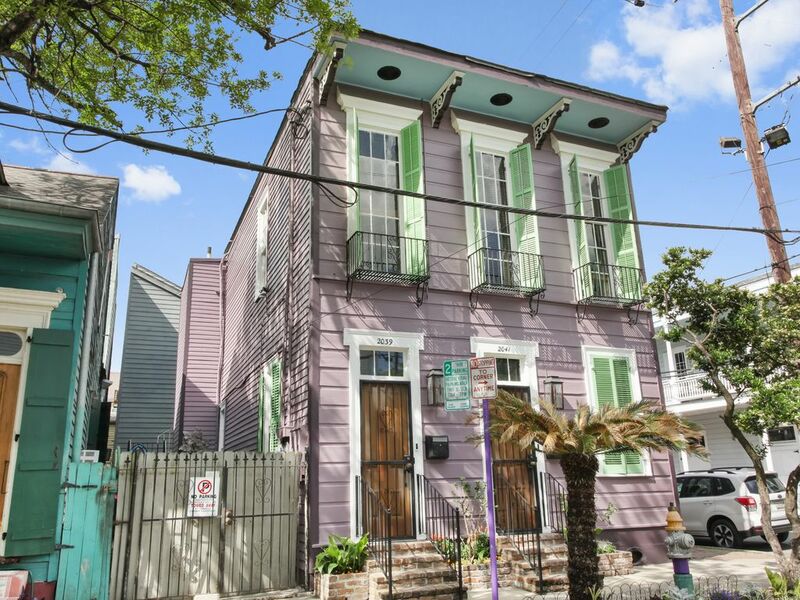 On the corner of Frenchman Street "entertainment alley", in our charming local décor and spacious 1000 square foot modern and upscale one bedroom plus sitting room, living room, full kitchen, with washer dryer, you'll want to spend the week. Scenic overlook of Washington Square Park allows you to quietly watch the evening sights sounds and savory smells; come face the tough decisions of live music, the arts market, early or late walk to Bourbon St to see what the "tourists" are doing before coming back to where the locals are on your block..
Free parking on one side, meters from 8a-7p one side. owner was great. condo was clean and comfortable. nice bed. didnt do any cooking etc there but everything is there to cook anything you wish. good wifi. quiet spot. it is between the main bourbon street area and the more "local" music area(forgot the name of it). horns restaurant a block away with amazing breakfast. ate there everyday. didnt need a car but parking around if you did. This home really added to my NOLA vacation. It’s right on Frenchman street which has lots of bars, restaurants, and shops. It’s also a quick walk into the French quarter. The home has a lot of character and charm. It was a relaxing place to come home to after a long day of exploring. Eric was accommodating and responsive. I could not have asked for a better experience! Rapid responsive host. Home absolutely beautiful and clean. Instructions were clear and precise. Will certainly recommend this location. My husband and I had such a wonderful time. The house is very comfortable, and it has everything you need to enjoy your stay. We loved all the art around the house. The views are amazing as well. Thank you so much Eric for a memorable weekend. We loved your place, the food suggestions and how accessible your place was to absolutely everything. I would recommend this location to anyone!